Whether at work or play, both visible and invisible systems map our movements. Outpress draws inspiration from paths that guide us towards focusing our energies on a specific activity or goal. 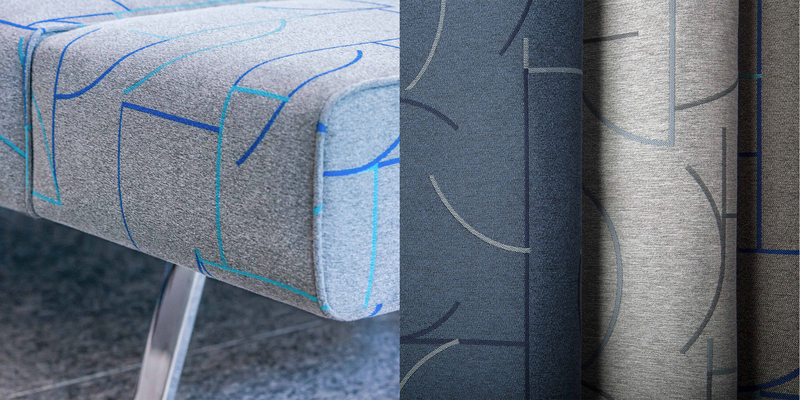 Curvilinear accent lines join and split across fields of heathered yarns evoking architectural structures. Achieving 105,000 double rubs, Outpress is a statement pattern that provides just enough color to complement any product and interior.